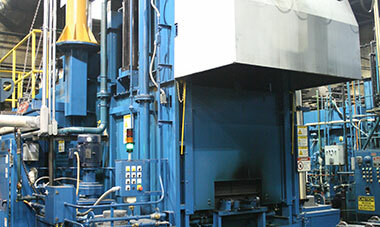 At Specialty Steel Treating, we offer several types of quenching heat treatments to increase the durability of metals. Our commercial clients benefit from the strengthening of their products to withstand wear and degradation through the use of these techniques. Precipitation hardening is a specific type of heat treatment that utilizes precipitates to accomplish this task. What is precipitation hardening, exactly? Metals are heated in order to form precipitates, or solid impurities, which keep the dislocations in the materials from moving around. As a result, the product is toughened and able to withstand more resistance. This can have many advantages. This particular form of heat treatment does take some time, so it is often alternatively known as age hardening. There are three basic steps involved. Solutionizing requires heating the material beyond the solvus temperature before soaking it until it becomes a homogenous solution without any precipitates. Quenching quickly cools the substance into a solid form, without giving precipitates time to form. Aging heats the metal below the solvus temperature in order to create precipitates while prohibiting dislocation movement, creating a lattice within the material that strengthens it considerably. Numerous metals are conducive to this method, which makes for a considerable range of applications. Nickel, stainless steel, magnesium, titanium and aluminum are all capable of being strengthened through precipitation hardening. Likewise, this technique can be used with several alloys. If you’re interested in finding out whether precipitation hardening aluminum, nickel, stainless steel, magnesium or titanium are the solutions for your products, contact us today in order to start a conversation about how we can best help you. At SST we pride ourselves in offering the optimal methods to most increase the durability of any metal-related materials you use in your industry.